The TOPBOX Mini Kit is perfect for those who want to vape in style but not wanting to sacrifice great quality vapes. 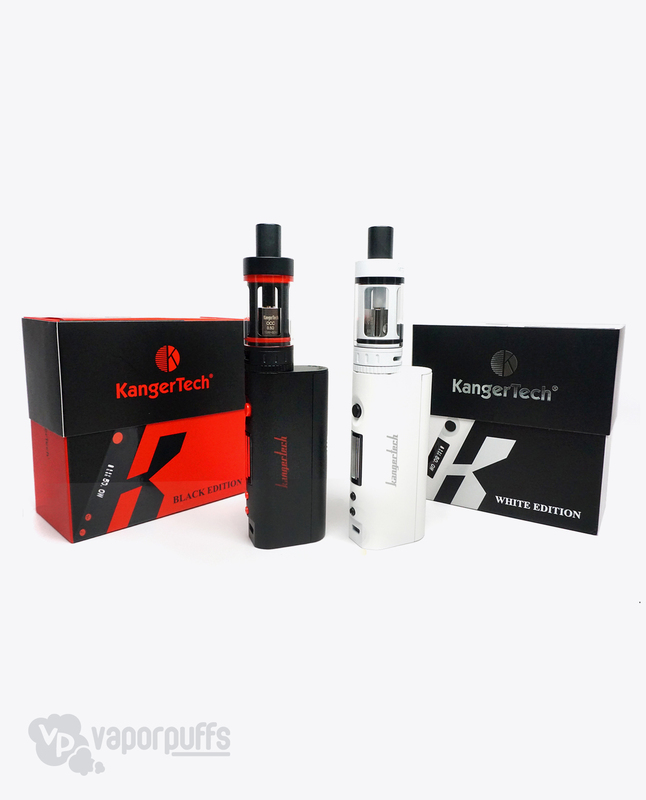 The Topbox Mini Kit by Kanger offers variable wattage, multiple OCC coils, and an improved RBA headline to ensure the best vaping experience possible. Earn up to 600 Puff Points. 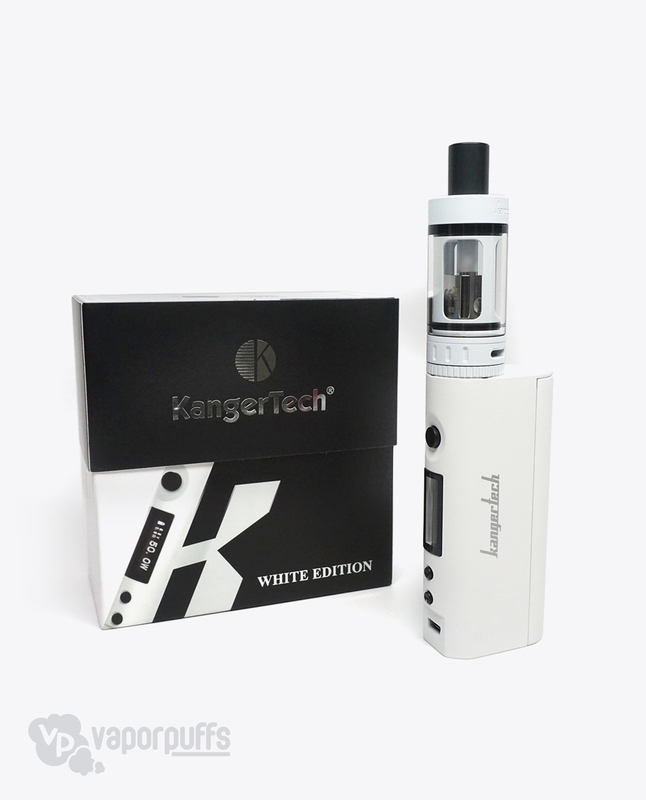 The long anticipated Topbox Mini Kit by Kanger has finally been released and is one of the most in demand box mods available on the market right now. 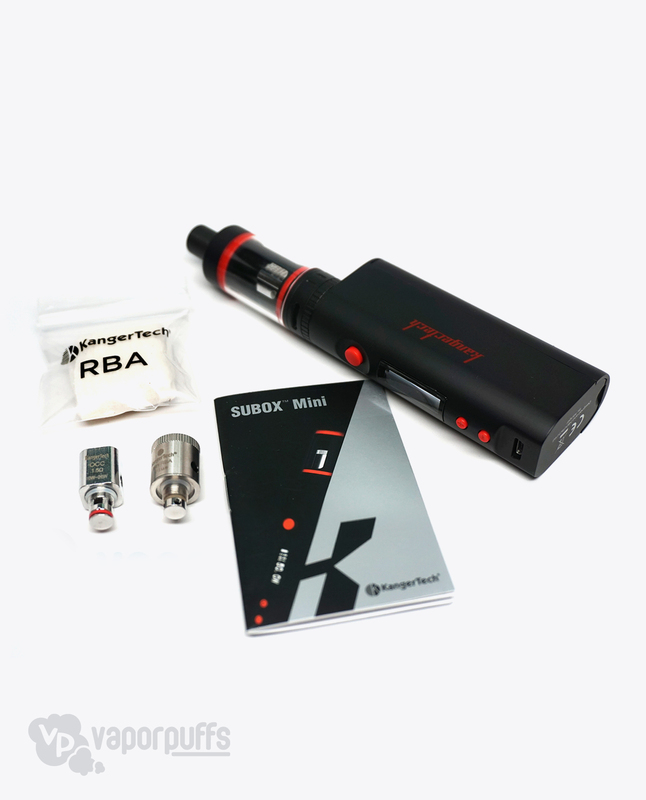 The Topbox Mini Kit by Kanger pairs both the KBOX Mini and the Subtank Mini in one package for a mini match made in heaven. Including two different OCC’s (0.5 Sub Ohm and 1.5 Ohm) and a variable wattage system, the SUBOX Mini Kit is packed full of great features and unlimited options. This kit features a new airflow design for maximum vapor and flavor production. To accommodate new users, it is made with an easy to assemble RBA to help keep things simple. It has it all, top quality for the experienced and ease of use for the newcomers. 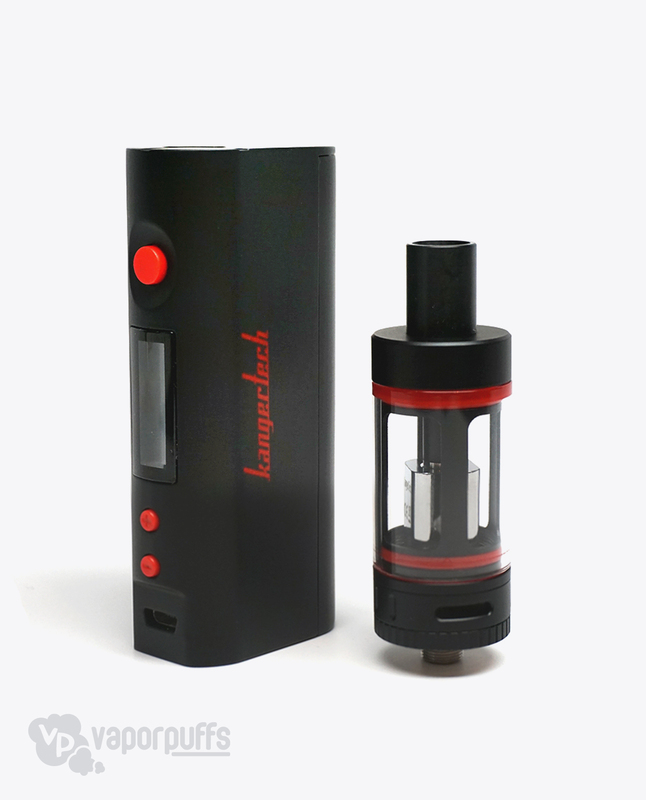 The Topbox Mini Kit is available in a sleek looking black with red accents and a classic white with black accents to compliment any vaper’s style. And just in case our technical support can’t fix your issue, the SUBOX Mini Kit you purchase on Vaporpuffs is covered by a 6 month limited warranty. The warranty covers all manufacturer defects and all warranty replacements go through us. No need to search for manufacturer phone numbers and jump through hoops. Let us do all the work for you!